Lorca Castle (Spanish: Fortelza del sol) in Murcia, Spain, is a fortress of medieval origin constructed between the 9th and 15th centuries. It consists of several defensive structures from the Middle Ages, which made the town and the fortress an impregnable point in the southeast part of the Iberian Peninsula. 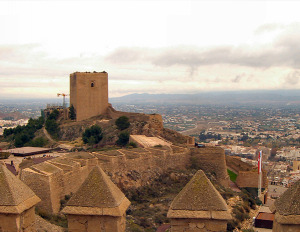 Lorca Castle was a key strategic point between Christians and Muslims during the Reconquista. It is now listed as a Site of Cultural Interest and is open to the public for exploration. 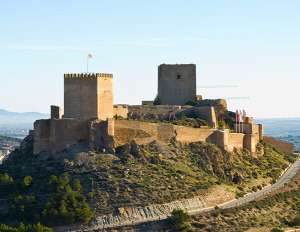 640 m long and 120 m wide, Lorca Castle is one of the largest castles in Spain.